I’ve got an impressive assortment of bug bites on my legs (and, probably zika), a bruise from ramming right into a concrete stool at the swim-up bar, and a right ear that’s still ringing after a scuba dive. I have survived another beach resort vacation. We spent six glorious days at the Westin Golf Resort & Spa, (also known as the Westin Playa Conchal), Starwood’s first Costa Rica all-inclusive property. 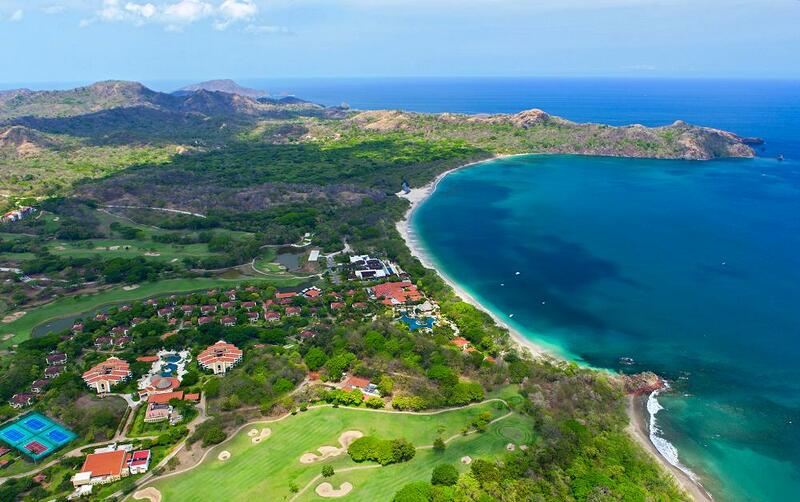 It’s on the Pacific side of Costa Rica, up north in an area known as Guanacaste. We flew into the Liberia airport, which is about an hour’s drive from the resort. This was actually our third time at this particular property. We first went in 2012 (when I also sustained a few vacation-related injuries) and in 2014, where I don’t remember if I sustained any injuries, so that probably means I absolutely did. Our first trip, in 2012, we stayed at one of the regular rooms/bungalows (“Deluxe Junior Suite”), which was located on the far northern end of the property (near the beach access). It was fine, but when we went back in 2014, we upgraded to the adults-only section known as the Royal Beach Club, which was fabulous! It has its own designated check-in area/lounge, adults-only pool and restaurant with no kids, other than the numerous, painfully young honeymooners we met over the six days. (I will say, the rest of the property is very family-friendly and I highly recommend this place for families). The rooms at the RBC, as us hipsters call it, were pretty nice in 2014 (I think we stayed in a “Royal Beach Suite,” from what I can remember. We had a balcony with a Jacuzzi tub on it, which seemed a bit odd in a hot, humid, jungle/beach setting. But, right after our 2014 visit, the property owners closed down both RBC towers and completely renovated the rooms. And they did an amazing job, incorporating lots of really nice (presumably local?) wood, updating the floors and furniture, and replacing the Jacuzzis with cool, modern bathtubs (I still think it’s weird to have an outdoor bathtub on your patio, but XFE used it and was happy). A lot of the staff at the Westin Playa Conchal and at the Royal Beach Club specifically, remembered us from our previous visits and treated us like total VIPs. We felt really well taken care of. Our favorite vacation game at our favorite spot: dominoes at the main lobby bar. We chose to return to this property because it’s just an easy fly-and-flop option for us. We know exactly what to expect. We don’t have to make a whole bunch of plans and reservations, which suited us fine since we’re belly-deep in planning our next big trip….to South Africa/Tanzania/Zanzibar. We did go scuba diving again one morning, mostly as a refresher since we plan to dive in Zanzibar. We went with Pacific Coast Diving, which we used in 2014. Still a good outfit that’s responsive over email, is located close to the hotel, and picks you up and drops you off in a nice, air-conditioned van. Anyone who’s done a bit of scuba diving knows how rare an air-conditioned dive van is! The diving, however, was a bit meh, and the snorkelers said similar. And there was the whole ear-ringing thing, which I could have done without. I noticed it after our second dive and it got a bit louder over the course of the evening. By the next morning, it had lowered to a semi-tolerable, steady, annoying pitch that could be drowned out in areas with ambient noise in the background (talking, music, dishes clattering). But at night, when things were quiet? Really, really distracting and disturbing. That lasted about a week or so. We spent most of our time by the RBC pool, reading books, drinking frosty drinks (like the popular Dirty Monkey – a sort of banana/coffee/chocolate/rum smoothie) and avoiding direct sunlight so I wouldn’t spontaneously combust (ie: burn to a crisp). We did, however, go to the beautiful Playa Conchal beach early one morning so I could try jet skiing for the first time. I’ve got to say: I’m not really a fan. I guess I just don’t feel the need for speed. Any activity where the instructions start with, “It’s much easier/better if you go faster,” isn’t likely to win me over. I prefer life in the slow-to-medium lane. Adventure-man and James Bond-look-a-like XFE, however, took off like a madman and was killing it all over the ocean waves. He’s clearly not afraid of the throttle (seriously, my hands and arms were so sore from squeezing so tightly in the slow, mid-throttle position). Does this girl look like a speed demon? So that’s it. A brief recap of our brief visit to the Westin Playa Conchal. Now the compulsive obsessing about South Africa/Tanzania/Zanzibar can truly begin (and has).